It’s a story we’ve seen many times over: an unlikely hero embarks on a journey that has been thrust upon them. Along the way, the hero make some allies and enemies, maybe even fall in love. At the outset, they become stronger and wiser than they were when they embarked on their journey. No matter what the genre or setting of the story is, the central narrative follows the hero’s journey structure. This is known in literary circles as the “monomyth” or, in pop culture, as the “hero’s journey”. 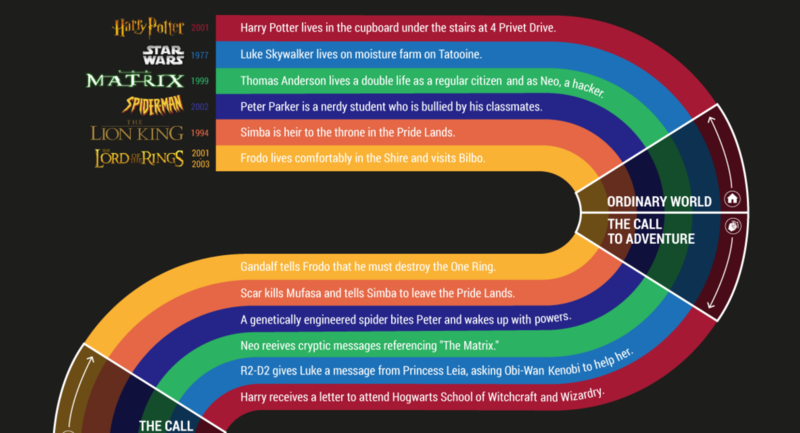 This infographic shows the progression of the hero’s journey in six iconic movies: Harry Potter and the Philosopher’s Stone (2001), Star Wars (1977), The Matrix (1999), Spider-Man (2002), The Lion King (1994) and The Lord of the Rings trilogy (2001-2003). Click to enlarge. 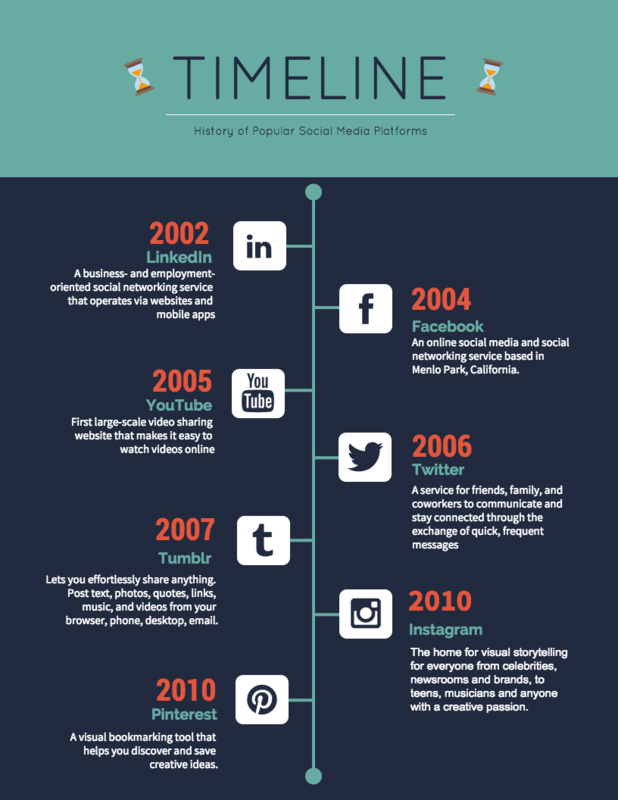 Want to learn how to create your own timeline infographic? 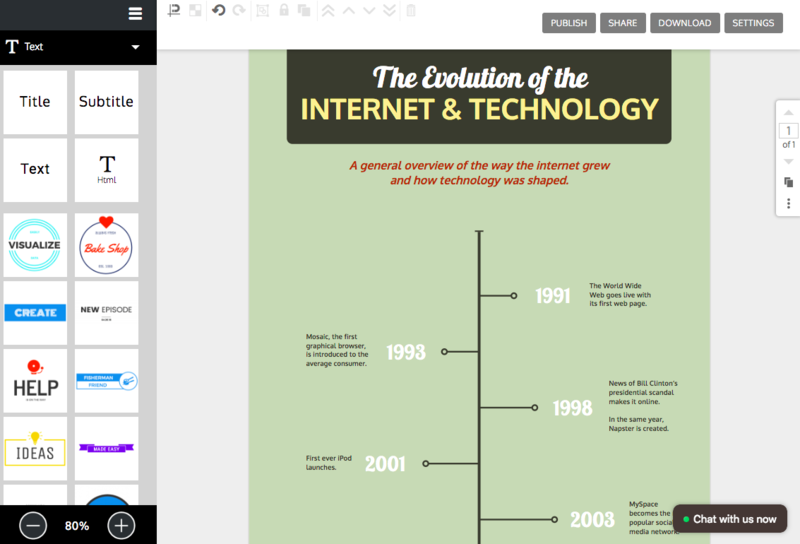 Scroll to the bottom of this article for a quick timeline design guide. The monomyth was first conceptualized by Joseph Campbell in his book The Hero with a Thousand Faces (1949). In Campbell’s monomyth, the hero embarks on a circular journey comprised of seventeen stages. The book identifies a narrative pattern throughout works of mythology (and narrative in general). The monomyth has since been adapted and condensed into twelve stages by Hollywood executive Christopher Vogler. Vogler developed his version of the monomyth while working at Disney, and once you recognize the pattern, you’ll be able to identify it in some capacity in almost any film. He’s the one who popularized calling it the “hero’s journey,” and his version focuses specifically on movie narratives. Let’s break down each step in the hero’s journey (warning, many GIFS ahead). The hero is introduced in their ordinary world. The mundane ordinary world is presented in stark contrast with the “special world” that the hero will enter when they accept their quest. In Spider-Man, Peter Parker is introduced as a regular, particularly nerdy teen in Queens–quite the opposite of the kickass crime-stopper he becomes. The initiating incident of the story takes place. The hero is introduced to the challenge or problem that their quest will seek to overcome. In Star Wars, the call to adventure comes in the form of Princess Leia’s message, delivered by R2-D2. The hero hesitates to accept the call to adventure. This could be because they don’t feel they have the skills to take on the quest or they don’t want to leave the life they know. In The Lord of the Rings trilogy, Frodo is reluctant to leave his comfortable and familiar life in the Shire in order to face the unknown dangers that await him on his journey. The hero meets a wise, usually older, woman or man. The mentor guides the hero in gaining the supplies and knowledge needed to embark on the adventure. However, the mentor can only go so far with the hero. In The Matrix, this is where Neo meets Morpheus, who tells him to take the red pill or the blue pill. The hero commits wholeheartedly to the adventure and integrates into the special world. There is no turning back from this point. In Spider-Man, Peter crosses the threshold when he catches the thief who killed his Uncle Ben and realizes that he must use his powers to stop crime. The hero explores the special world, faces trial, and makes friends and enemies along the way. In Harry Potter and the Philosopher’s Stone, this is the part where Harry adjusts to life in the Wizarding world, makes friends with Ron Weasley and Hermione Granger, and becomes enemies with Draco Malfoy. The hero draws closer to the center of the story and the special world. Often, this “innermost cave” is where the “object” or “elixir” of the quest is hidden. The object of the quest may be an actual treasure or a symbolic achievement. The innermost cave takes the form of the Death Star in Star Wars; Luke and his companions must infiltrate the ship to save Leia. The hero is pushed to the brink of death or loss and faces the greatest challenge yet. It is through this struggle that the hero experiences a process of death and rebirth (figuratively or literally). In The Lion King, Simba’s ordeal means he must face the guilt he feels for his father’s death and reclaim his right to Pride Rock, which has been taken over by Scar. The hero experiences the consequences of surviving death (figuratively or literally) and retrieves the object of their quest. It’s often at this point that the hero has a love scene with their love interest and reconciles with their enemies. In Harry Potter and the Philosopher’s Stone, Harry passes the obstacles barring the Philosopher’s Stone and discovers that the stone has appeared in his pocket. The hero returns to the ordinary world or continues onward to an ultimate destination, but their trials aren’t over just yet. They are often pursued by a vengeful force that they must face. In the Lord of the Rings trilogy, this is where Gollum confronts Frodo at the ledge of the volcano and tries to take the Ring back from him. The hero emerges from the special world fundamentally changed by their experiences. In The Lion King, Simba learns the truth that it was Scar who orchestrated Mufasa’s death. Simba throws Scar off Pride Rock in order to reclaim his place as king. The hero brings with them the object of their quest, which they use to better the ordinary world in some way–whether it’s through knowledge, a cure, or some form of protection. In The Matrix, armed with the knowledge of the truth, Neo delivers a message to the Matrix that he will save humanity. What can we learn from the hero’s journey? Not surprisingly, the hero’s journey has been adopted by content marketers because it acts as a framework for effective storytelling. 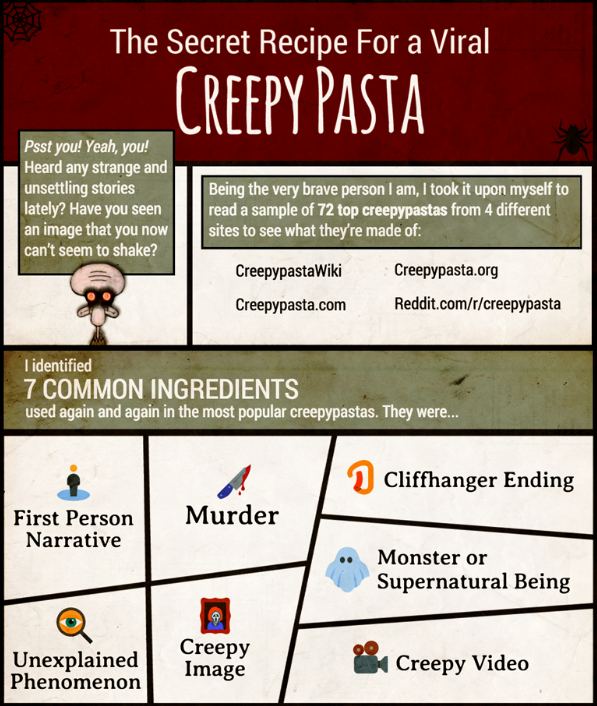 The lesson we can take away from the hero’s journey is similar to the lesson we took away from our creepypasta study. The formulas that are recycled again and again in narrative are in place because they work. It’s the same with formulas for design, or any other aspect of creation. But while a story revolving around a protagonist’s change makes for a solid base plot, there need to be significant variations to the story, characters, and setting to make the story new and exciting. Otherwise, you end up with empty clichés and forgettable stories. This is a lesson that extends beyond movie makers and fiction writers to content creators in general. 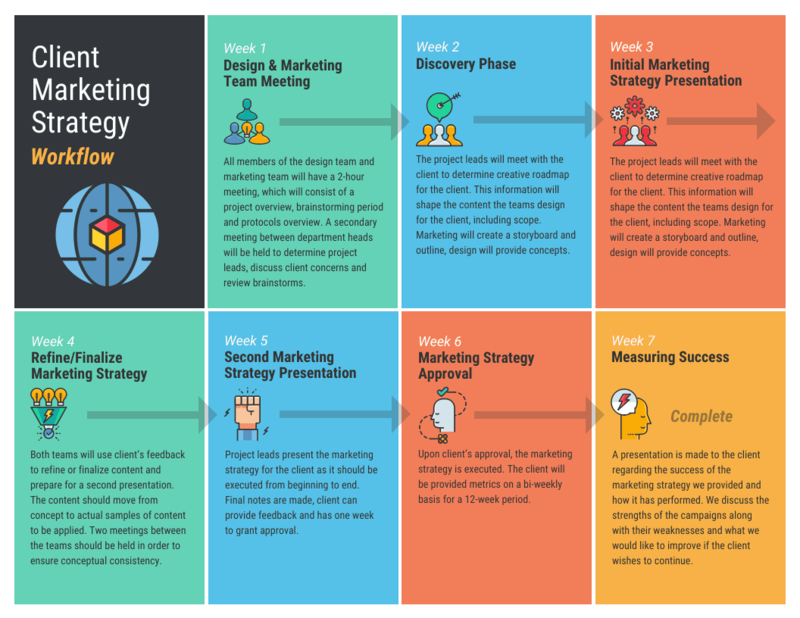 Whether you’re writing an informative blog post, planning a marketing campaign, or even planning a lesson, the hero’s journey can offer you a basis of how an effective “plot” or content strategy progresses. 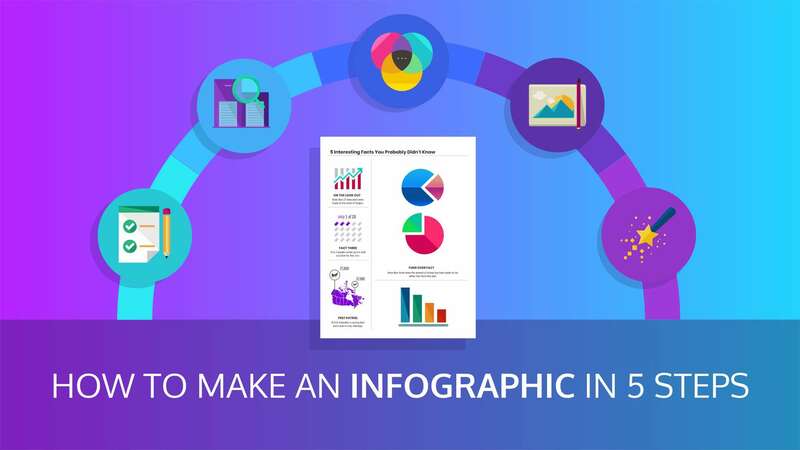 Do you want to create your own timeline infographic? You don’t need years of design experience to make one–just start with a template. Before you get started, make an outline of the information that will be in your timeline. Outline the number of events and the order in which they’ll appear your timeline. 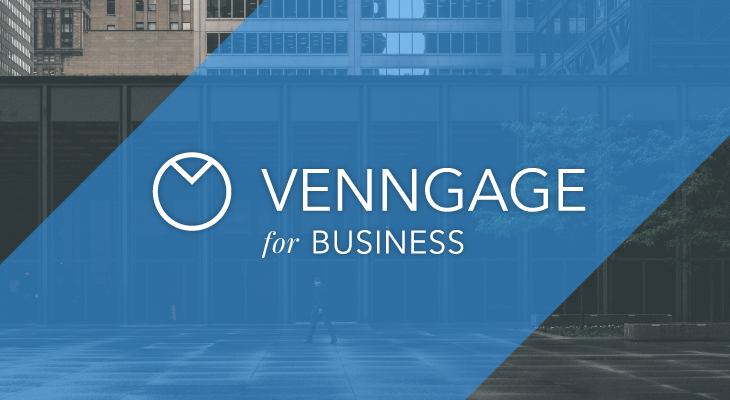 Include headers and descriptions for each event, and any design notes you want to keep in mind. 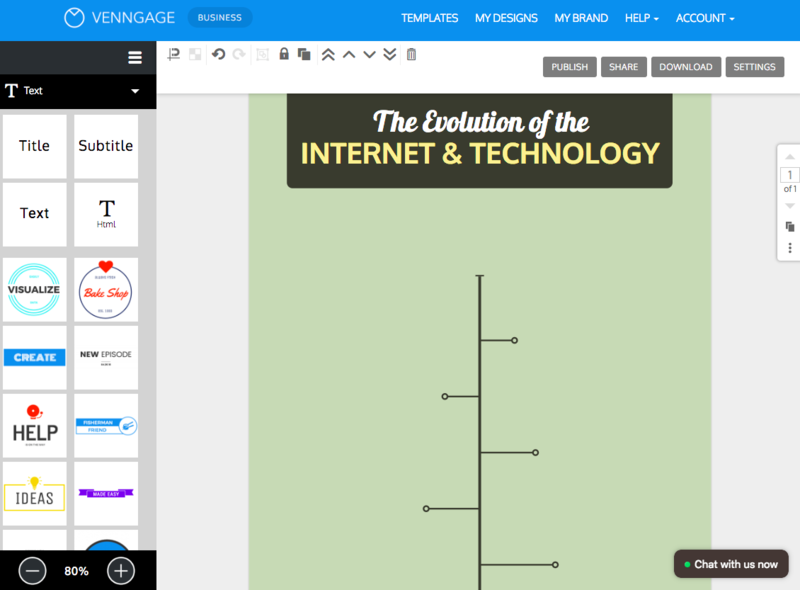 Next, plan how you want to lay out your information. There are several basic timeline layouts you can use. Once you’ve picked which timeline layout you want to use, it’s time to plot out your timeline. Map out each event and figure out how the information will be arranged on the page. 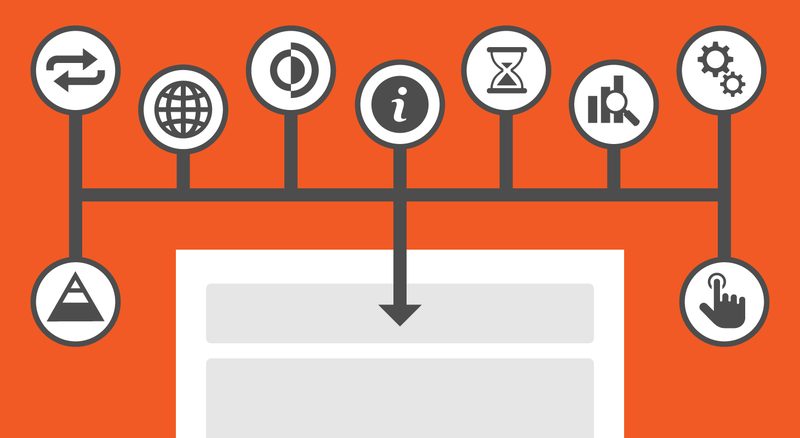 If you’re using a timeline template, then the framework will already be laid out for you. All you have to do is input your information, add or take away events, and customize the design. With a framework in place, start to fill in your timeline dates, text, and any supporting images. Don’t worry too much about style at this point–you can jazz up the design after you’ve laid out all the information. 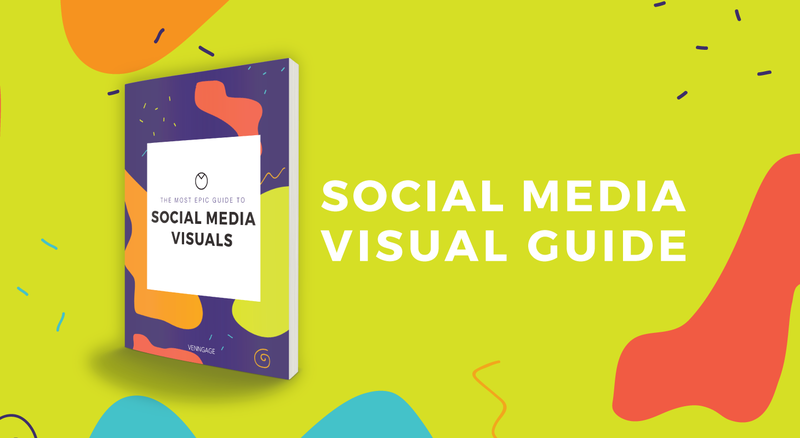 Once you’re happy with how your information is laid out, you can spice up your design. Think about what kind of mood you want your timeline infographic to have. Then, pick a color scheme that reflects that mood. Similarly, pick fonts that reflect the theme of your timeline. You can also embellish your timeline design with icons. 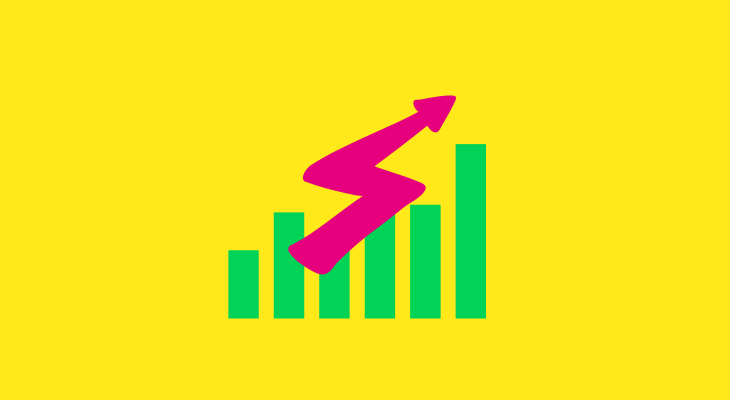 Icons are perfect for emphasizing and visualizing important points on your timeline. You’re done! 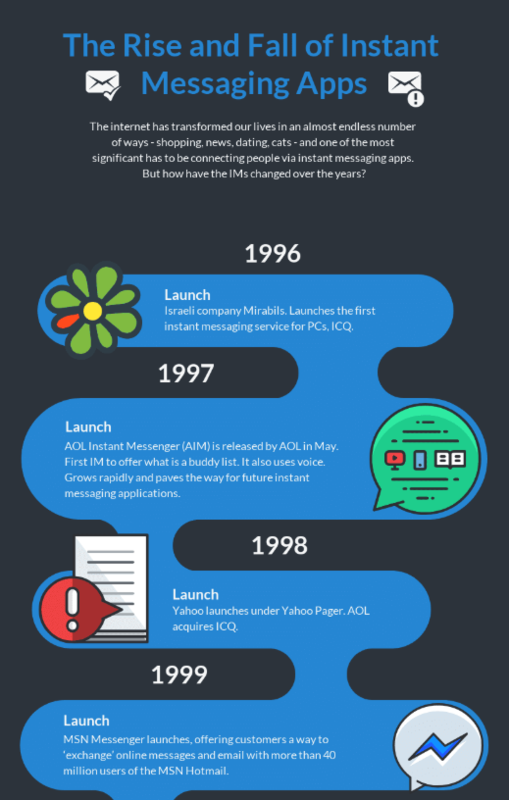 Download your timeline and share it with your audience. 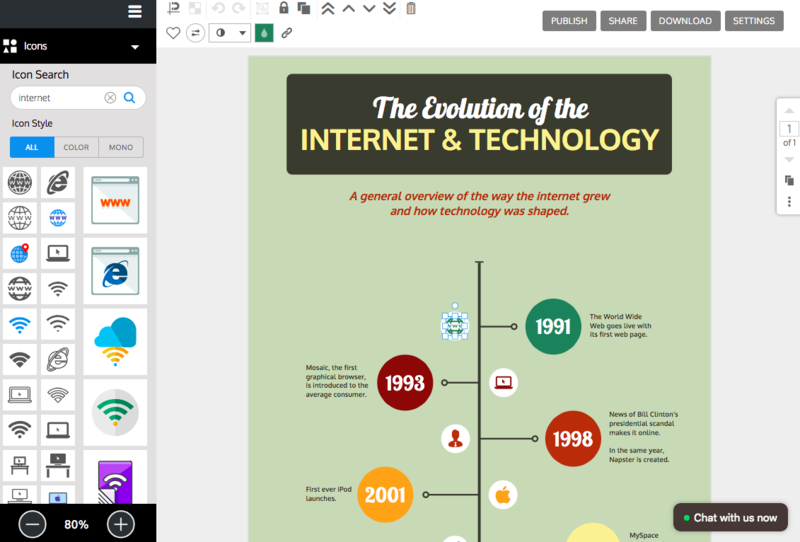 For more detailed instructions, read our guide How to Create a Timeline Infographic in 6 Steps.